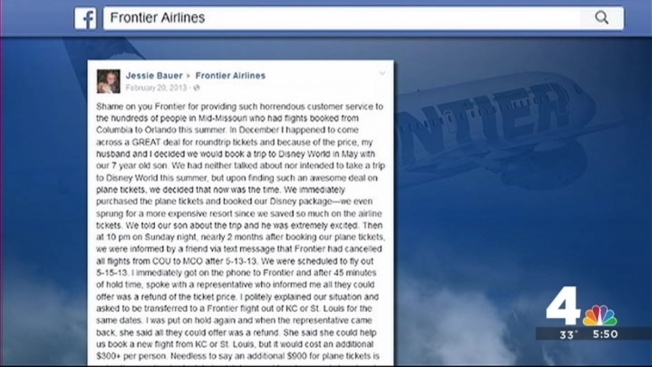 Several viewers complained to News4 about significant delays and cancellations involving Frontier Airlines -- we found even more complaints online. The complaints prompted to us find out what percentage of total Frontier flights were either delayed or cancelled compared to JetBlue and Southwest Airlines. An aviation data analyst at FlightAware provided us with the numbers. We compared the number of total flights to those delayed or cancelled for each month between December 2013 and December 2014.